LOADED! 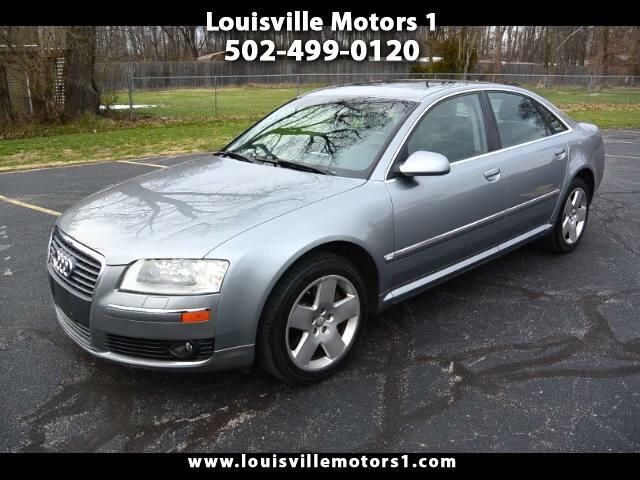 This 2006 Audi A8 Prestige is ready for a new home! Silver exterior with black leather interior and woodgrain trim. Keyless entry, sunroof, heated seats, memory seats, rear air, dual climate controls, steering wheel mounted controls, and more! This A8 is loaded with features! Under the hood you will find a 4.2 liter V8 engine paired to an automatic transmission that sends power to all four-wheels through Audis world famous Quattro All-Wheel Drive system. Come by and see our premium selection of gently used vehicles today!! !